Krista & Becca Ritchie are such amazing storytellers. They cracked the code to my heart. Every book I have read by them has sucked me in and made me part of the characters. 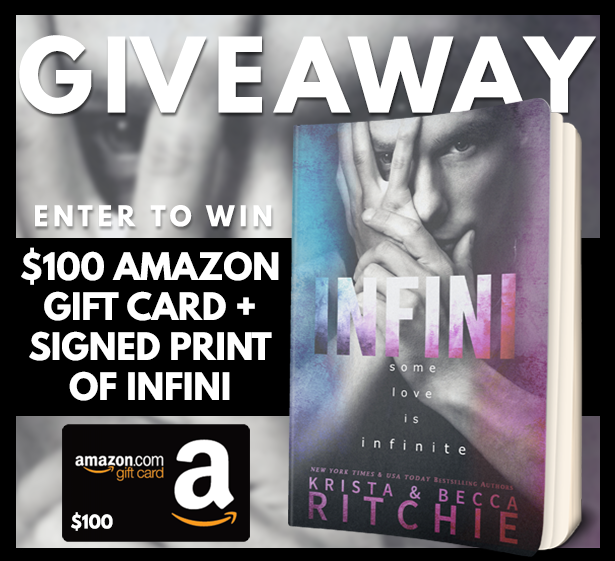 The Addicted series is one of my all time favorites, but don't worry you'll fall in love with the characters from Infini as well. When I was reading Infini I was part of the circus family, even though I am so not flexible or anything. They write such intriguing and unique characters that you can't help but fall in love with each and every one of them. "I have lived partially. Halfly. Incompletely. To be whole, I did not know until my bones thundered and bellowed for more." This book sucked me in from the beginning and I couldn't wait to discover and see what would happen mainly between Luka and Baylee. But there was so much more going on. There were struggles between family members, there were good and bad times! There were such emotional scenes that just tugged at your heartstrings. 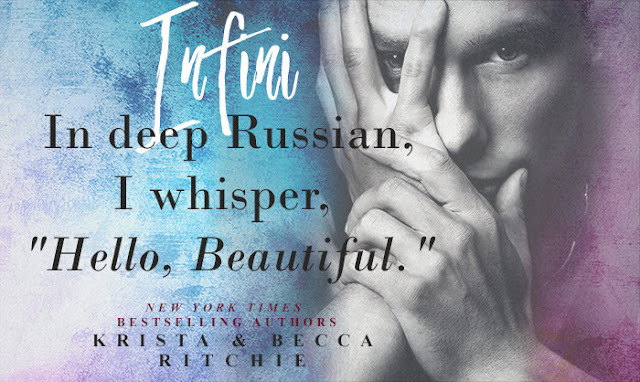 Infini was so much more than a love story, it was about family, hard work and the mutual love for the circus. The problems were real and raw, and you can't help but shed tears. You just want to hug the characters and tell them that everything will be okay. It was a very magical journey for me. Bay and Luka's story wasn't an easy one to tell, so keep tissues close by. Luka comes across as very laid-back guy that you just can't piss off, but he has a lot of demons that he keeps locked up inside. The moments he was together with Baylee were beautiful and sometimes heartbreaking as well. Also the interaction between him and his siblings was so fun and sometimes sad but it really gave you a great look into their personalities. "I don't think I'll ever find someone like him." I loved all the references to the characters from the Addicted series. It is so awesome that it takes place in the same world, who knows maybe the characters will meet in future books (that would be so awesome). 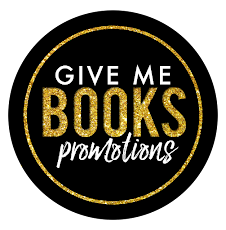 I really hope a lot of Kotova family members will get their own book. Krista & Becca do not disappoint. They will forever be one of my favorite authors and I'll read any book they'll write. 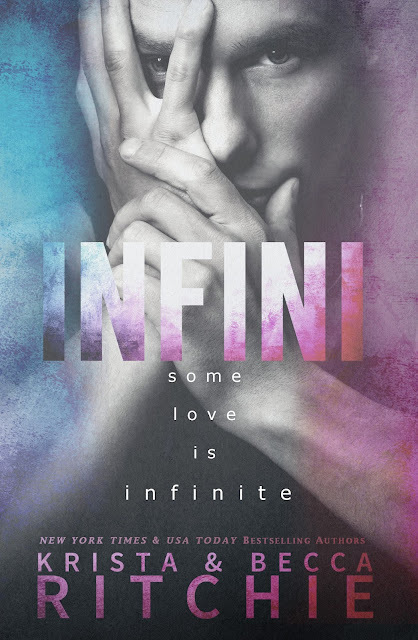 Even though Infini is a stand-alone, I highly recommend you to read Amour Amour first because you'll love and understand the characters so much better.